Although winter isn't technically over, spring has been in the air. 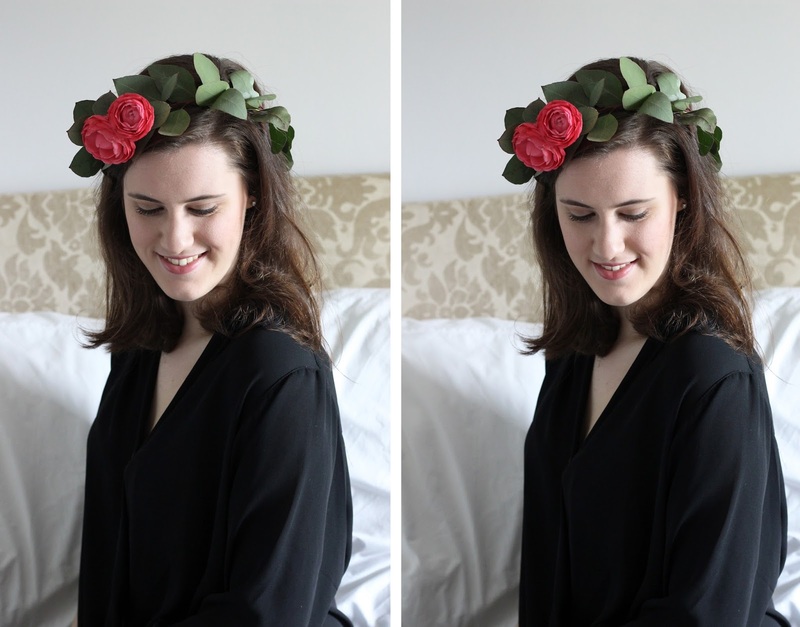 And that got me thinking about flower crowns, so I thought it would be fun to put together a post on how to make one at home. I used flowers from our garden, so that limited my choices to the flowers that were in bloom. I think flower crowns are fun for all sorts of events. 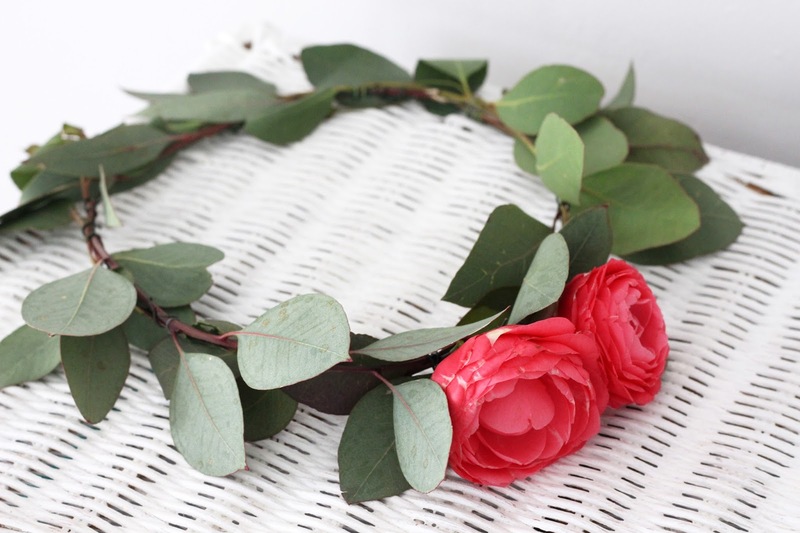 So if you'll be attending any bridal showers or garden teas this coming spring, why not add a DIY flower crown to your outfit? 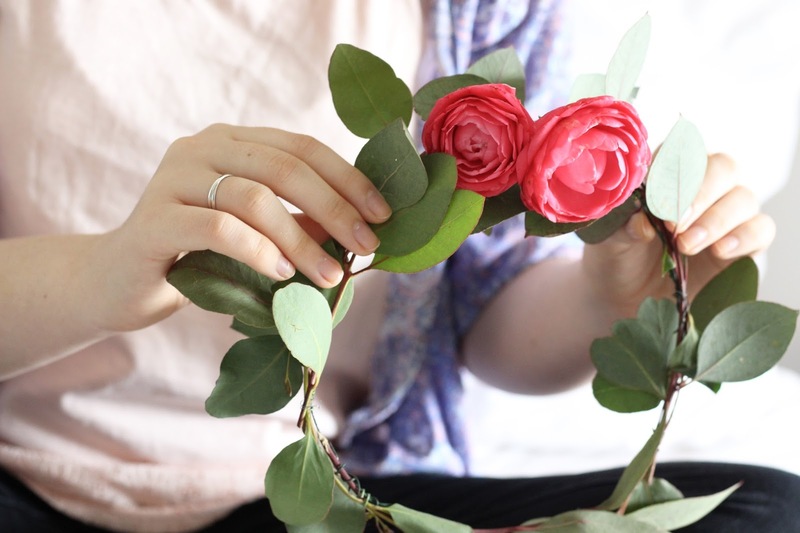 Keep reading to find out how to make this quick flower crown. 1. 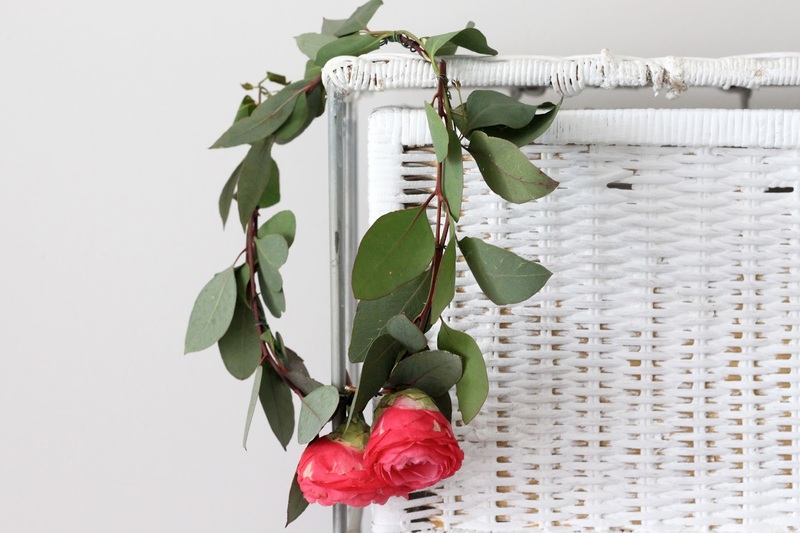 Start by taking your floral wire and forming it into a circular shape, making sure it fits around your head. Cut off any excess wire and continue to mold into a circular shape. 2. After you've chosen your greens, you'll start your crown with a layer of greenery, this will be the base of your crown. 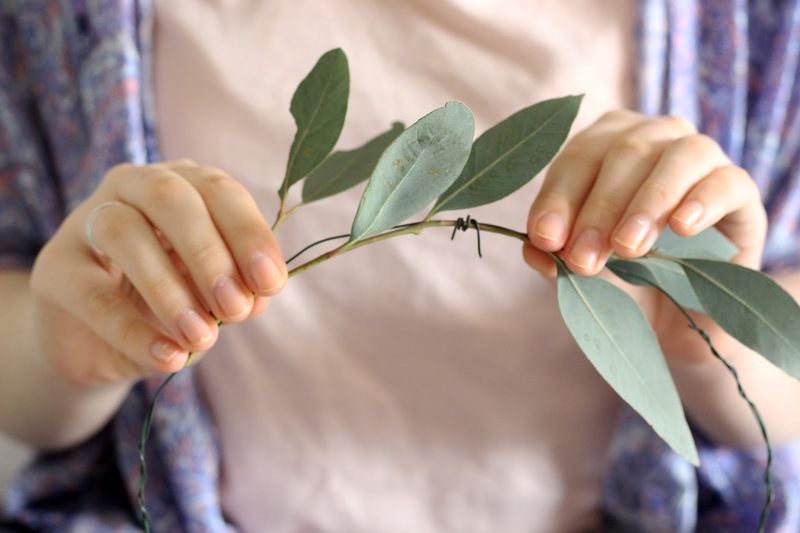 Using the craft wire or floral tape start securing the foliage to the crown. 3. It's time to add your flowers. Using scissors trim the stems down and cut off any excess leaves. And using the floral tape again , tape the stems to the crown. You might want to wrap the tape around the stems a few times to be sure the flowers don't fall out. You can place flowers all the way around the crown, or you can just focus on the front of the crown like I did. 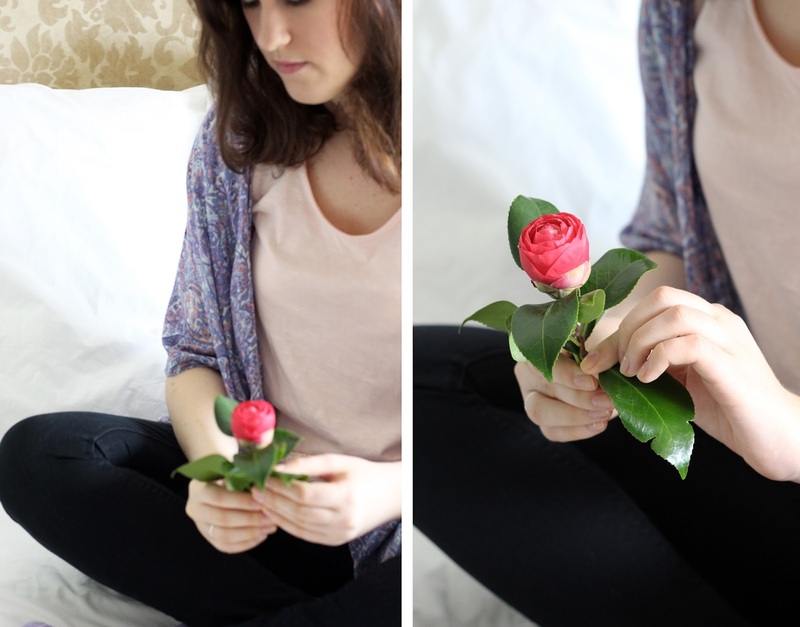 You can use smaller flowers for more of a understated look, or use bigger blooms for a bolder look. There's no way to really go wrong with flower crowns. It really all depends on what mood you're in or what occasion you're making it for. The creative ideas are endless and all it takes is practice. And to be honest, practicing to make these pretty crowns is such fun. Let me know if you have any flower crown making tips?